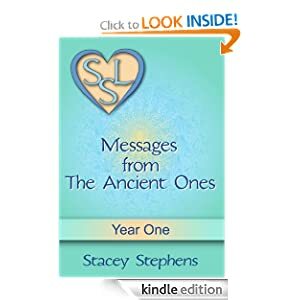 If you’re a fan of the Abraham/Esther Hicks channeled books, you might enjoy Messages from the Ancient Ones by Stacey Stephens. Well organized by topics such as Compassion, Empowerment, Relationships, Integrity, etc., the ideas presented are upbeat and almost uptopian. If everyone took the advice to live by the ideals in this book, it would be a better place indeed. I used the chapters as a daily devotional in the mornings. There are pictures to set the tone for each chapter, which is a creative way to utilize the new freedoms of digital publishing. The messages are reminiscent of A Course in Miracles talking about ego-based thinking and urging readers to breakthrough to an era of Divinity. This book is part of the New Thought movement of spirituality. For those of us well-versed in this type of philosophy, it doesn’t break new ground. However, it is a good presentation of the ideas and presents a hopeful image of what the human experience can be.